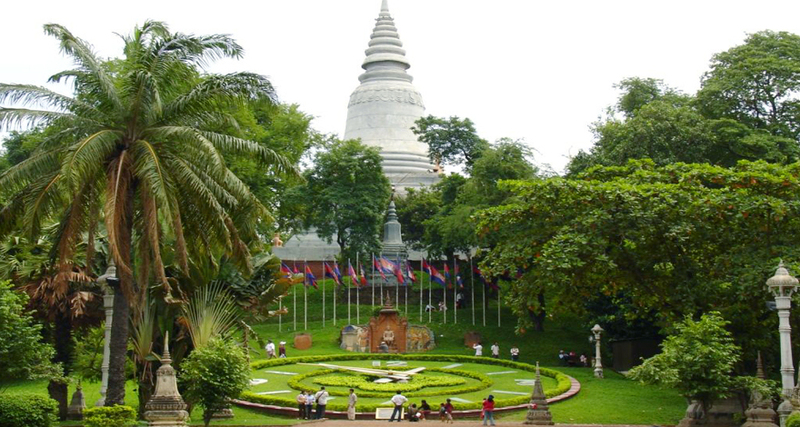 - Car and DAT VIET TRAVEL tour guide pick you up at the meeting point of departure to Phnom Penh. Then breakfast at the restaurant. Tour guide immigration procedures at the gate of the carpentry - Bavet. Have lunch in Phnom Penh. - Journey to campot. Arrive at the campot, on the Borkor Plateau (at 1080m above sea level), conquer the elevation with a beautiful winding road system - from here you can take a glimpse of the whole Gulf of Thailand and Phu Quoc Island. (Vietnam). Then stop to visit the places and activities of King Shihanouk who hunted here, taking pictures of the palace - Casino. The Catholic Church was built by the French in the year 1917. Special visit to the Temple of Five Boats - heard the legend of Prince Preah Thom & Princess Aquarium Nagani - where the beginning of Khmer civilization. 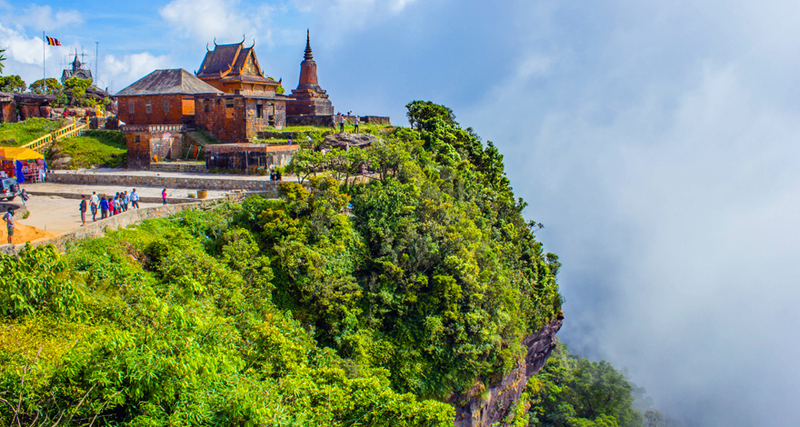 - Check out hotel Thansur Bokor 5*. Have a dinner at the restaurant. 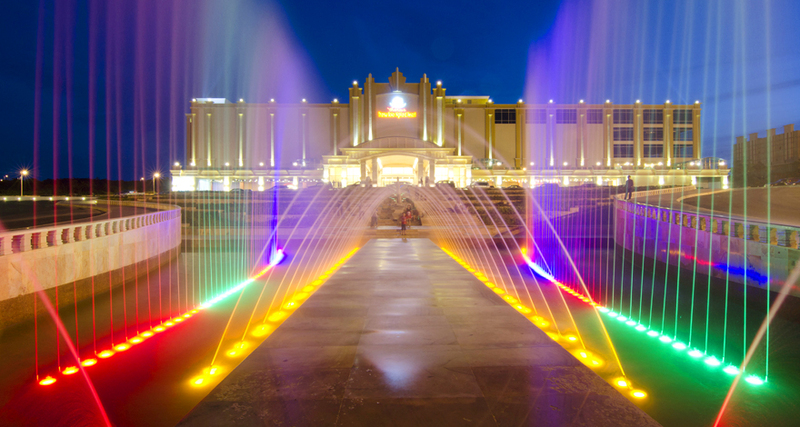 Free coffee at Popokvil Falls or try your luck at Thansur Bokor Casino. - After breakfast, depart for Shihanouk Ville. 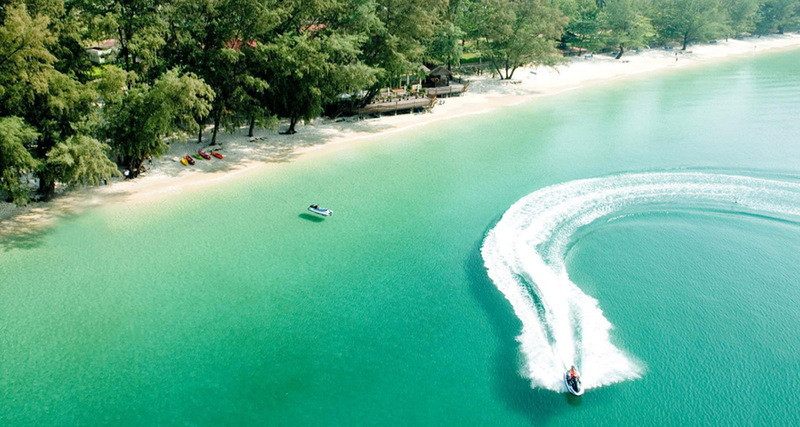 Free to swim - immerse yourself in clear, calm water on the smooth white sand stretches of the most beautiful and quiet island of Sihanouk Ville. - Have picnic lunch on the island. You can attend the games on the sea such as: Water Motorbike, Banana Boat. (self-sufficiency cost). 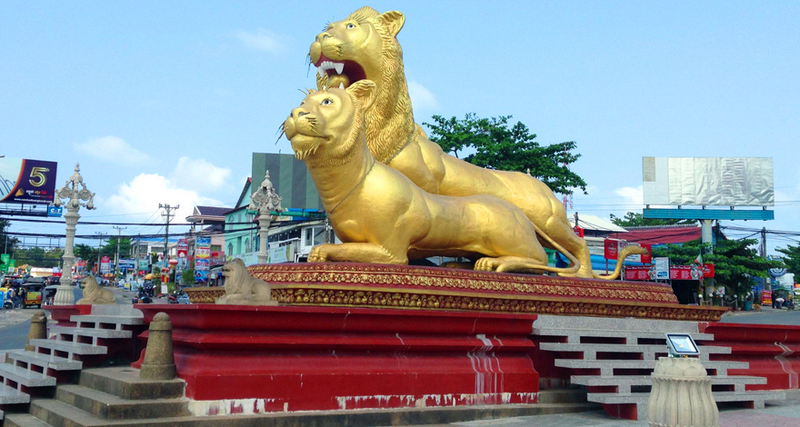 Then back to the hotel to rest & take a photo at the Golden Lion, Independence Monument. - Dinner is finished, you are free to walk the coastal city (back street with bar, mini bar, dicotheque bustle). - Have breakfast and check out, depart for Phnom Penh. On the way, stop at the peak of the Peak Nil - Ya Mao. Then have lunch in Phnom Penh and check in hotel. 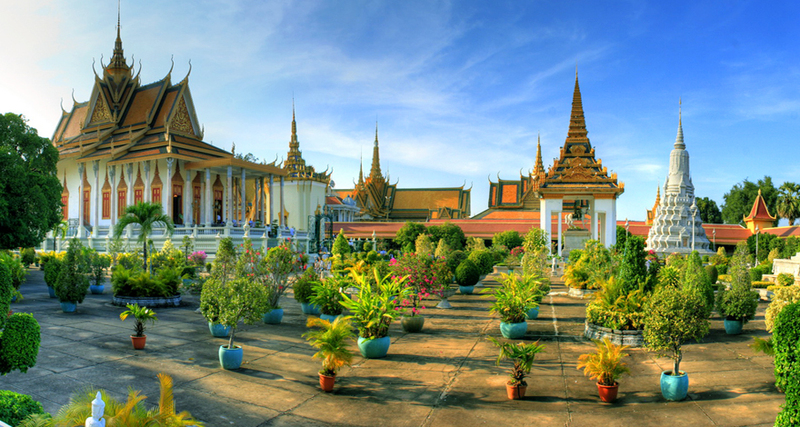 - Afternoon visit Wat Phnom sacred pagoda of the city and shopping at the capital's major shopping mall. - Have dinner at the restaurant with Suky Hotpot. 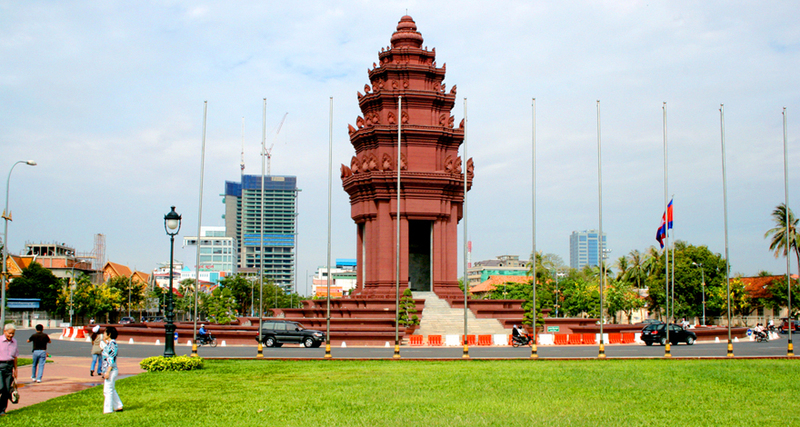 Freedom to explore the capital at night and stay overnight in Phnom Penh. 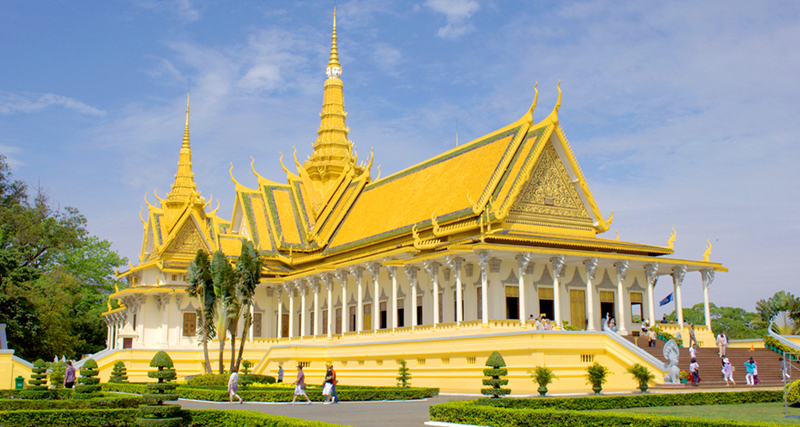 * Royal Palace - Golden Pagoda, Silver Pagoda. Vietnam - Cambodia Memorial. * Independence Square. Four-Faced River Square. 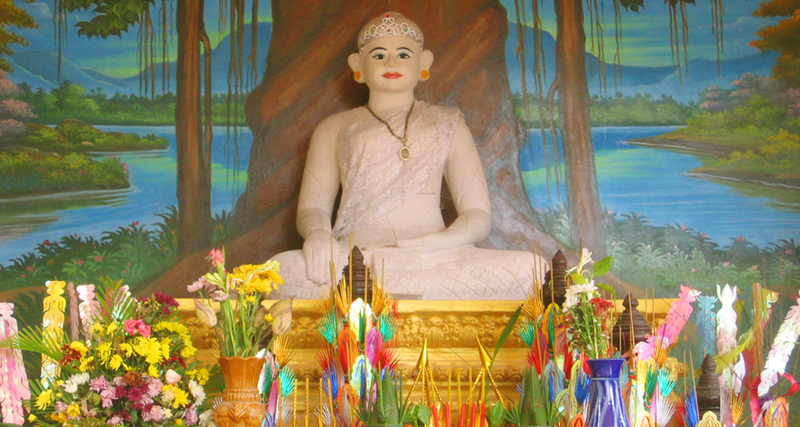 * Wat Phnom is the most sacred temple in Phnom Penh, which is closely linked to the capital's history. - After lunch in Phnom Penh, depart for HCM City. Come to the border gate, tour guide procedures entry and exit. Break up and see you again. - Procedure fee at the border gate. - Stay at hotel: room 2 persons (room 3 will be arranged as needed). - Air-conditioned car shuttle throughout the tour. - Eat according to the program. - Entrance fees according to the program. - Hats, spring water and cold towel. - Re-Entry visa: 1.350.000 vnd (for foreigners and overseas Vietnamese need 2 photos). - Personal expenses, laundry, telephone. - Tips for tour guide and driver: 65.000 vnd / day. - Children under 4: free, eat with parents. - Children from 05 to 10: payment 75% tour price. (Standard as adults and parents sleeping together). - Before 10 days: payment 30% tour price. - From 05 to 10 days: payment 50% tour price. - From 03 to 05 days: payment 75% tour price. - From 0 to 3 days: payment 100% tour price. - When booking tour, please bring with you the original passport and 02 photos 4x6cm for visa camouflage, (750.000 vnd if overseas or overseas).